Be a Hero with our long Sleeve Latex Hero top. 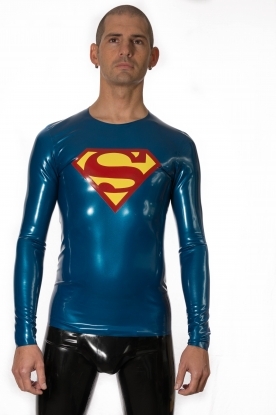 The hero top matches perfectly with any of our Latex Leggings. Also shown is our Cod Piece Leggings. 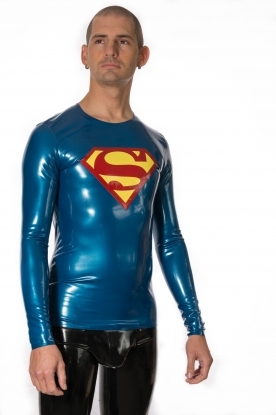 Long Sleeve Latex T Shirt with round neck. Long Sleeve round neck top with twin stripes on the arms.